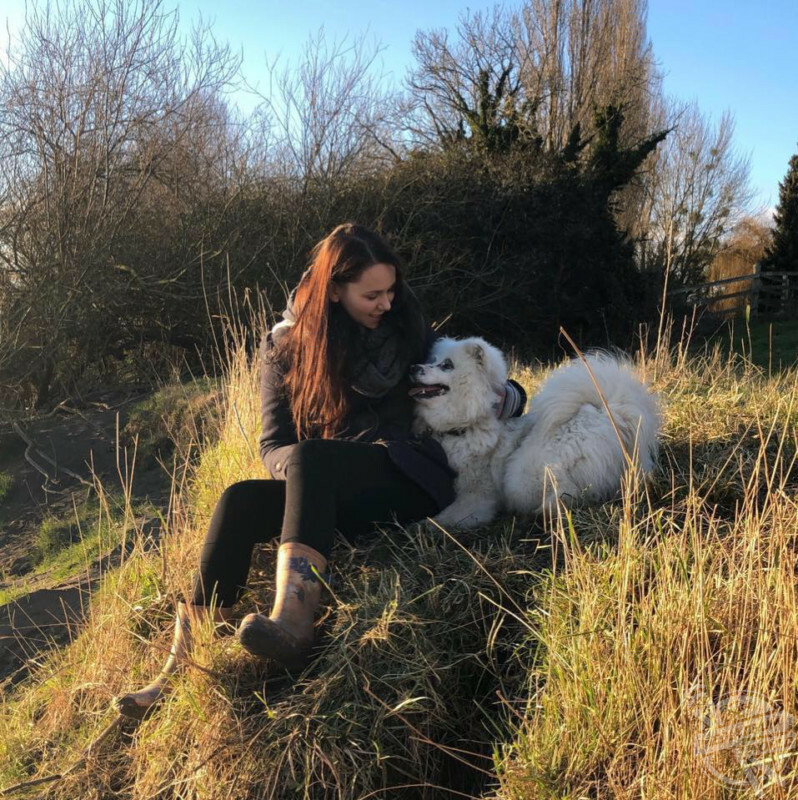 MEET THE animal-loving student who has adopted three slaughterhouse survivor dogs that look UNRECOGNISABLE since being rescued and now she wants to raise awareness of the horrors of the dog meat trade and the importance of adopting pets instead of buying them. University student and animal welfare assistant, Skye Wardle (22), from Gloucester, UK, has always been brought up surrounded by animals including horses in a small countryside village. With a mum who was a vet nurse and now works for animal charities, Skye has always known about the Chinese dog meat trade and Yulin. When one of her friends rescued a Spanish street dog in 2016, she wanted to do the same thing and got in touch with a charity called Rushton Dog Rescue, who save dogs who have been abandoned, abused or are unwanted. 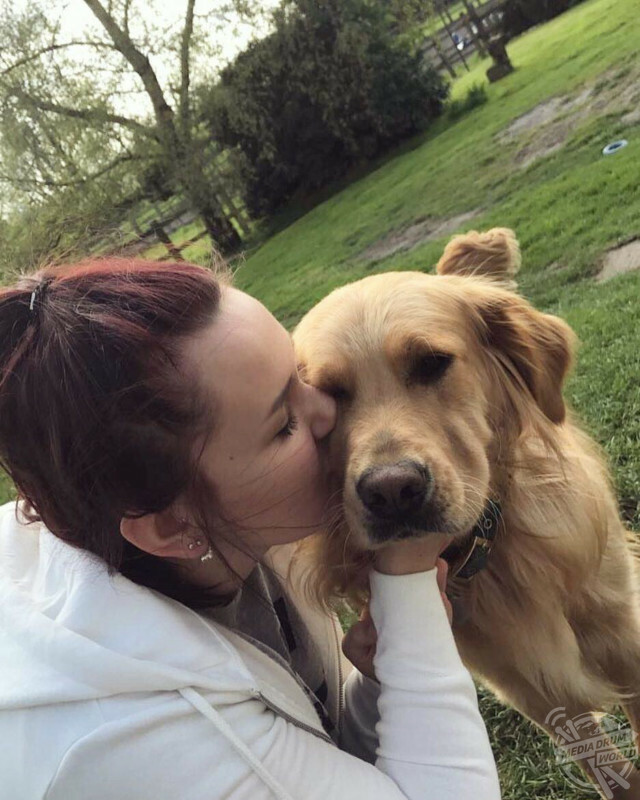 She contacted them in November 2016 and was sent pictures of a golden retriever, Clover, who was rescued from a dog slaughterhouse in Changchun, China. 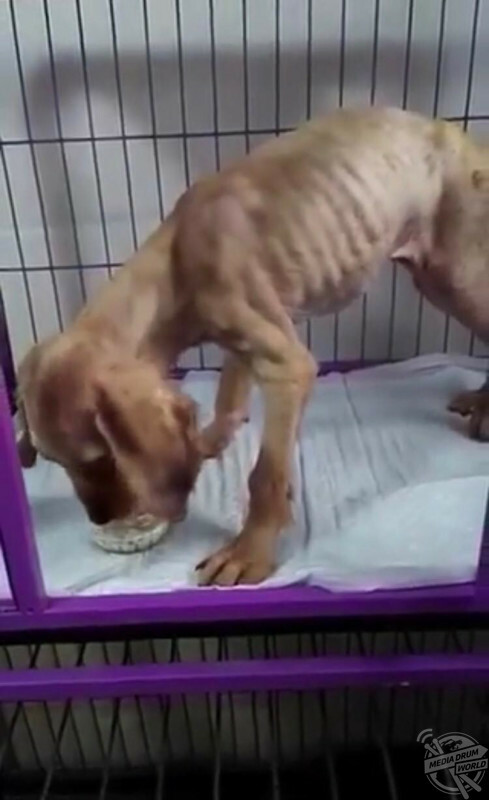 He was starved, left dehydrated and contracted pneumonia and canine distemper, a viral disease that affects a variety of animal families. In March 2018, Skye’s family adopted Bonnie when she was just 10 months old, another golden retriever saved by the same charity who was abandoned on the streets of Beijing and was covered in sores and lice. She also had the distemper virus, which has an 80 per cent fatality rate in puppies. 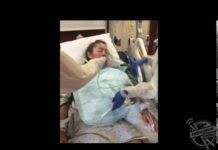 She has been left with myoclonus, involuntary muscle spasms which cause a neurological ‘tick’. Eight months later, Skye found out about Nellie, a Samoyed dog who was rescued from a puppy mill that breeds puppies for dog meat which was set on fire. She was one of the last remaining dogs that survived the fire, who was pregnant and badly burnt. 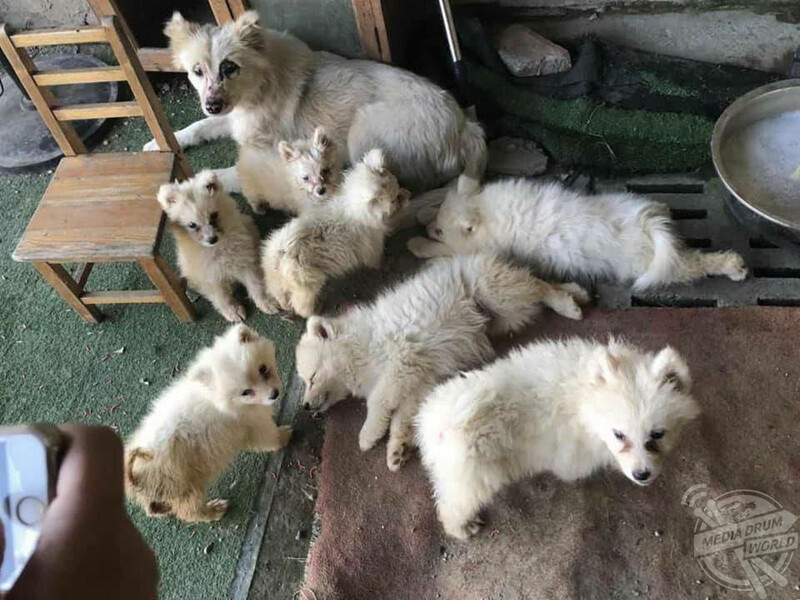 She was taken to a vet to be treated for her burns before she was given a loving home and gave birth to eight puppies, one of which sadly passed away. The remaining seven puppies went to Y-Not Save a Sam Rescue in the USA and are all in loving homes. The three now healthy dogs have all been treated with love and care by the Wardle family and get along very well with each other. Skye now wants to raise awareness of the benefits of rescuing and adopting pets instead of buying them. 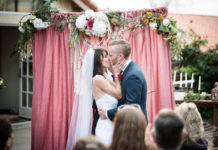 “We are all animal lovers and have always had lots of pets including dogs and horses. We have always known about the Chinese dog meat trade and Yulin, as its publicly spoken about by celebrities such as Simon Cowell and Ricky Gervais,” Skye said. “But we never thought we’d be able to adopt a dog from the meat trade. A friend of ours rescued a Spanish street dog from Rushton Dog Rescue and we saw their Facebook page. 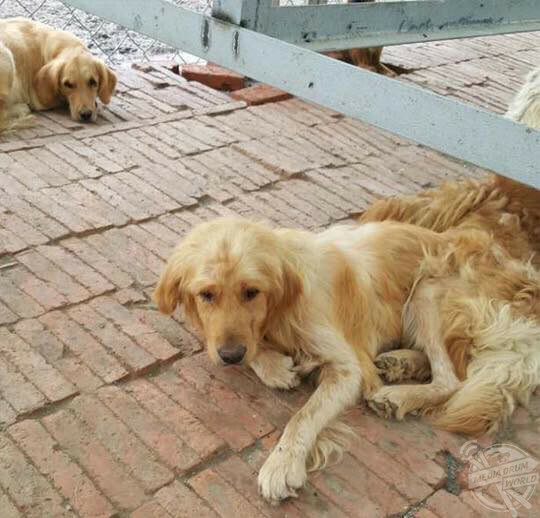 “We saw they had started a project rescuing dogs from the Chinese dog meat trade, so I contacted them and was surprised to find out they had a golden retriever. We saw photos of him and immediately wanted him. “Clover arrived in the UK in December 2016 and we went to Rushton Dog Rescue’s farm in Somerset to meet him once he had been there a few days to settle, we adored him and signed the adoption papers and took him home that day. “It was the same with Bonnie and Nellie, we agreed to adopt them and waited for them to pass quarantine and fly to the UK. 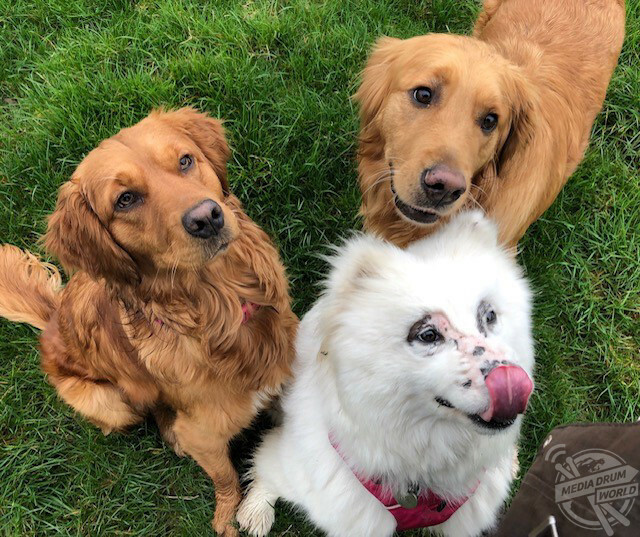 “The adoption process was very easy, we contacted Rushton Dog Rescue and explained we had always had golden retrievers in the family, they recommended Clover to us and we knew we wanted him immediately. “That week, we had a home check and were approved, and we waited for him to fly to the UK. A year later, our elderly golden retriever, Finn, passed away, and we knew we wanted to give his place to another meat trade survivor. “Rushton Dog Rescue had Bonnie under their wing, so we instantly said we would love to adopt her. We then heard and saw lots of photos and videos on social media of Nellie, the Samoyed mum, and were keen to meet her. “We knew they were active dogs and we could give her a great life as we have fields and live an active life in the countryside. Skye says that Clover, Bonnie and Nellie have compatible personalities, which has made the transition easy as they all get along very well. She says that all they really needed was the reassurance that not all humans are bad and to give them a lot of love. “Clover is the sweetest boy, he is quiet, friendly and sensitive. I would say he is the most affected by the abuse he has been through, as they are manhandled and beaten, thrown around by metal poles around their necks in slaughterhouses,” she said. “He is a cuddly boy but loves his own space and loves his walks where we he can walk for miles on his own exploring. “Bonnie is a larger than life, hilarious character. She is small from stunted growth from her starvation as a puppy, but she makes up for it in personality. “She is loud, loves to bark and play fight, she is funny and a real tough cookie, gets bowled over and trampled by the other two when playing and gets back up and carries on every time. “She is the little boss, always starts the play fighting and is fiercely independent, even though she needs a lot of help and support with her myoclonus. “She has definitely come out of her shell and changed the most since we adopted her, she was quiet and frail at first, very weak and her tick was very bad to the point she could barely sleep or stay crouched to go to the toilet. She has blossomed and grown into an amazing character. “Nellie is a typical Samoyed and has been from the beginning. She has the ‘Sammy spirit’ and Sammy smile, is endlessly happy and adores her life. “She absolutely loves chasing her ball and running, walking lots and cuddling up to us at night. Her and Bonnie have a special bond we noticed straight away. “Nellie has had puppies and is very maternal, and we don’t know if Bonnie ever knew her mum, she spent most of her recovery in isolation as she was so ill.
“Nellie treats Bonnie like her baby, cuddles her, licks her and looks after her, and Bonnie seems to really love her and enjoy it. Their relationship is so lovely to watch. All the dogs get along so well and love each other so much. 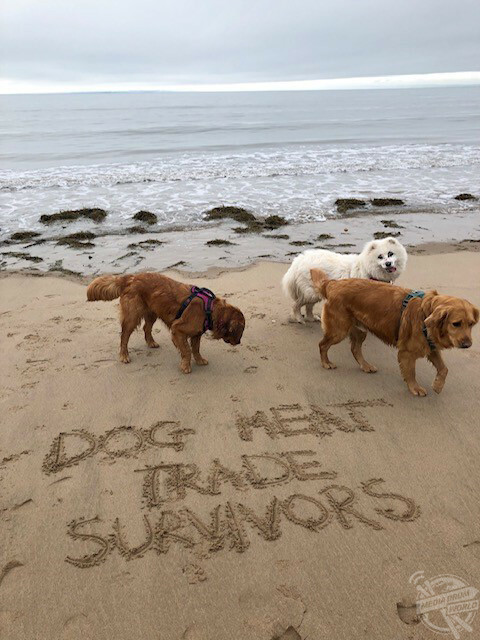 “People can’t believe the dogs were rescued from the dog meat trade when they meet them as they as such friendly, normal dogs. “People generally ask what happened to Nellie’s face or think it’s her markings and are shocked when we explain what happened to her. “It is great getting a positive reaction from people and making them aware of something they had never thought about before, encouraging them to look into it further. “Bonnie and Nellie are absolutely fine and friendly with strangers, going straight up to people on walks etc for a stroke and cuddle. “Clover is slightly more reserved but still loves people to stroke and fuss him, he can be wary of men, especially with low hats on or carrying walking sticks, but once he is reassured and knows they are friendly, he is fine. 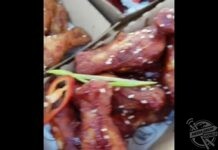 “We would just like to raise awareness of the dog meat trade and rescuing and urge people to adopt instead of buying dogs. “People have a common misconception that rescue dogs are difficult, problematic, or always cross-breeds and undesirable breeds who aren’t family friendly. “I think our three show that is not always the case, and rescuing has changed our lives as well as theirs. Rescue dogs deserve a chance of a loving, safe forever home, and they give so much.